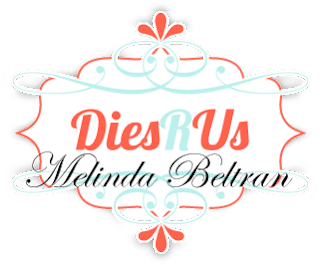 My name is Melinda and I am so thrilled to be a part of the Dies R Us 2018 design team! I hope you will be inspired by my creations! 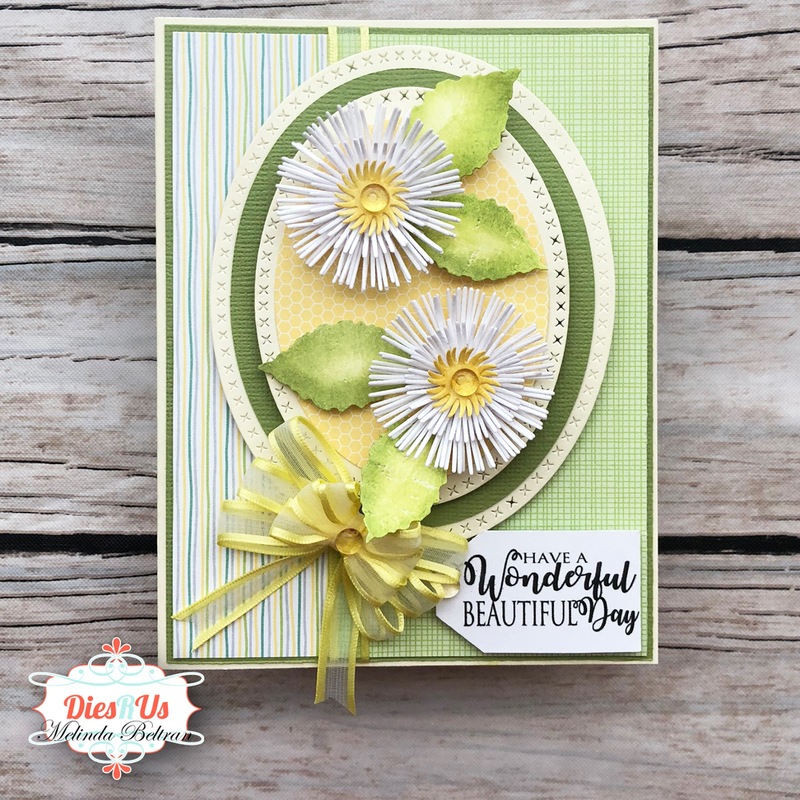 Here is my first project share as a DRU Girl! I created this sweet, spring-themed card using some fun dies and papers from the Dies R Us shop. I started with a cream cardstock base. The size is a standard A2 size. I then cut a piece of green cardstock for a mat. 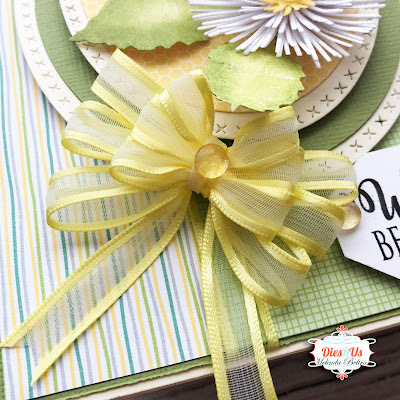 The wonderful patterned paper is from the Doodlebug paper pad. For these pretty flowers, I used the Cheery Lynn Build A Flower 1 Die Set. These dies are actually used for the centers of the flowers but I thought by stacking them and rotating them, and adding enough, they would look a little loosely like dandelions. I cut everything out of white cardstock and then inked the leaves and the very center pieces. I used some of the Colorbox Cat's Eye Pigment Inks you can find in the DRU Shop. Here's a look at how they look individually. I then staggered and layered four of them together. 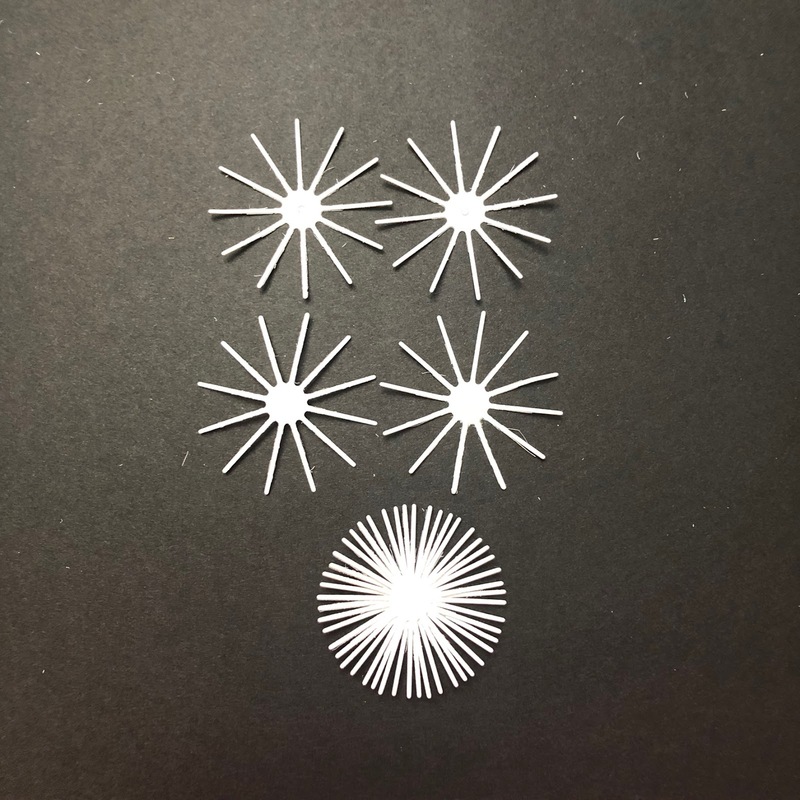 I, however, decided that four wasn't quite enough so I decided to stack to sets of four together to create each flower. 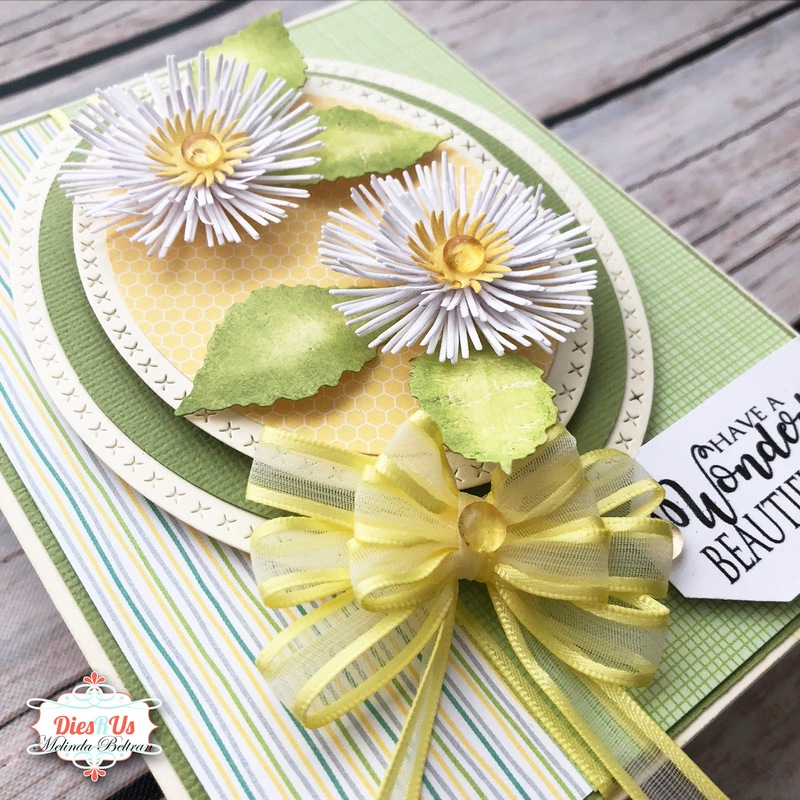 After creating the flowers and adding the oval mat layers, I decided to run a piece of ribbon down the border and add this pretty little yellow bow. I finished off my card by adding a little sentiment I created. I cut it out in a tag shape and added a little foam tape to it. Here's an angled view to show you the depth of the layers I achieved by using some foam tape between them. Here is one last look at the finished card. 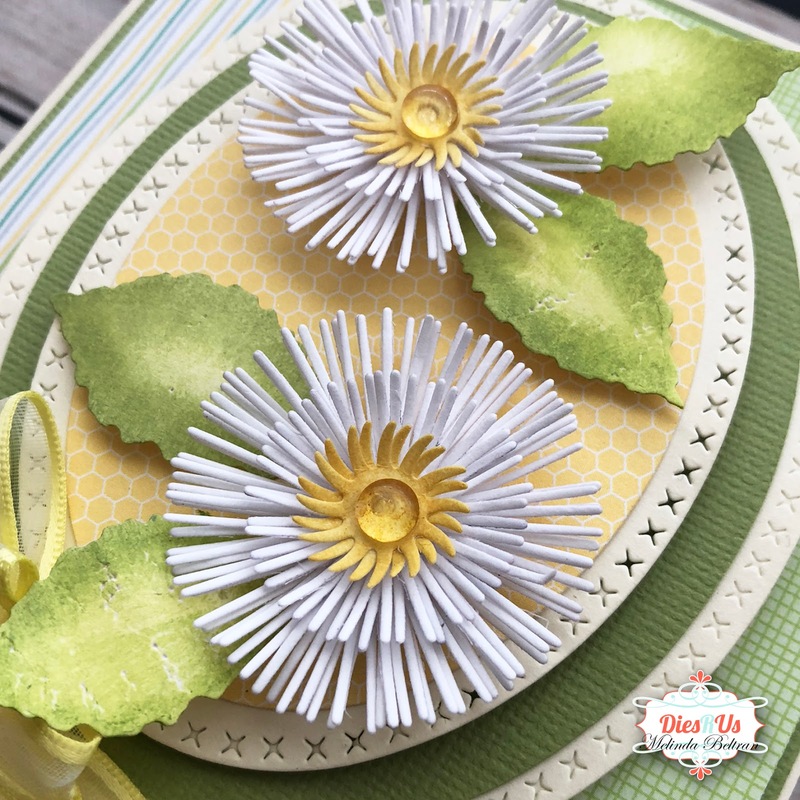 I hope you are inspired to create a few little "dandelions" of your own. Beautiful springtime card Melinda! LOVE those flowers and your design showcases them beautifully! This is beautiful, Melinda! I am loving all of your layers and those fabulous flowers! What an awesome card! Love the bright spring colors! Gorgeous card Melinda with all th elayering and pretty details...congrats for being on the team!! Love, love, LOVE this!!! Your flowers are just beautiful, and your design is sheer perfection! Great colors too! 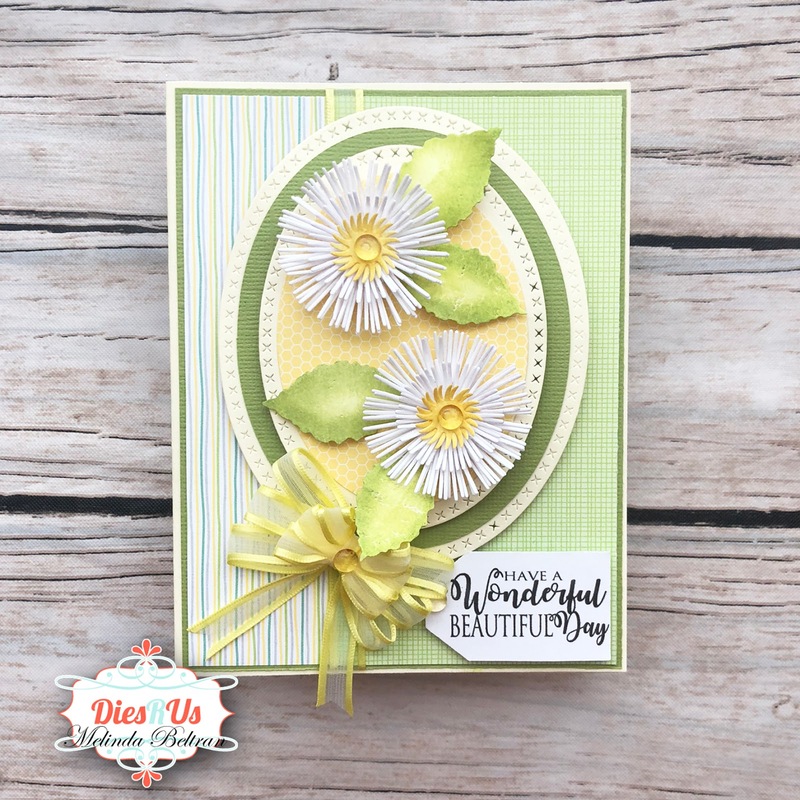 What a beautiful spring card this is Melinda! I love the colors you used and those wonderful flowers have me wishing for spring in our neck of the woods. So glad you're on the team! Thank you so much for all of your wonderfully kind comments! I am so excited to be here and be a part of this group of very talented crafters!!! Melinda!!!!!! 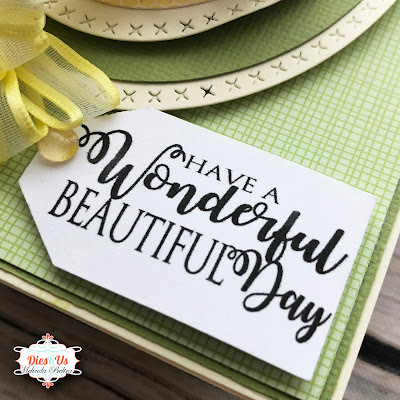 Your cards are great and what a surprise to see you designing for DiesRUs, one of my regular places to shop!!! I hope you are well. I think of you often and wonder how you are!!! Now I know!!!! Blessings my friend!